Sick of Higgins’ controlling nature, Dan finally decides to stand up for himself. 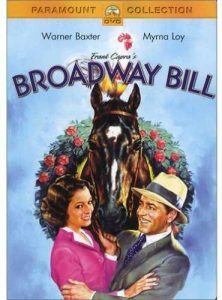 Quitting his job as manager of a factory owned by J.L., Dan dedicates all of his time to his racing horse, Broadway Bill, in hopes that he can profit from his trusty steed. Arrested for not repaying a supplier he owed money to, Dan must rely on the success of Broadway Bill to bail him out.